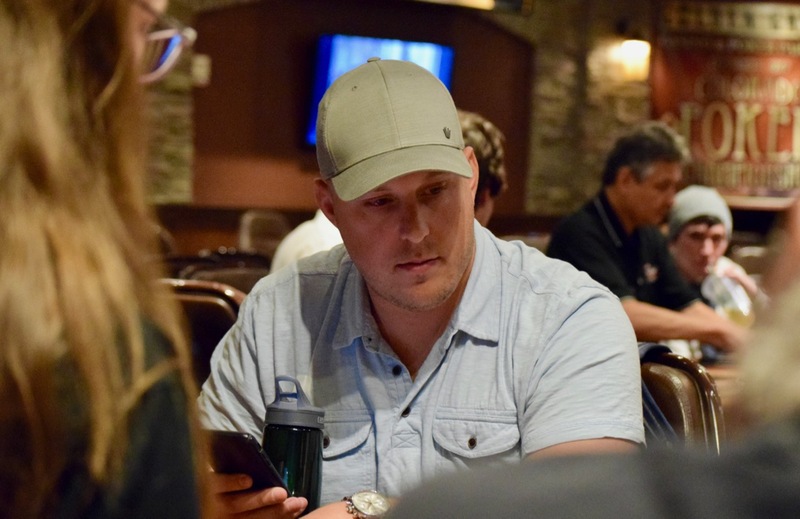 The September 2018 @HPTPoker @Gates_Poker series started off with a massive 722-entry field for Event 1. Rich Dixon held off Matt Livingston heads-up for the win, taking home $43,780. Livingston (pictured) - who snagged $39,100 as runner-up - is here for the start of the Main Event, placing his chips in action for the first of four starting flights. Livingston has twice been runner-up in the HPT Black Hawk Main Event, both in February 2017 and last September. His HPT Black Hawk resume includes $308,544 in cashes.